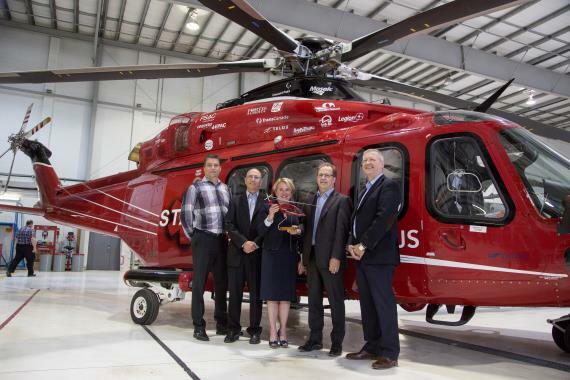 Canadian Natural has committed $2.5 million to reinforce support for community partner STARS air ambulance, which transports and coordinates care for critically ill and injured patients throughout Western Canada. The donation will occur over a five-year period, at an amount of $500,000 a year. Canadian Natural has worked with and supported STARS for the past 28 years, and this donation brings our total funding to $3.2 million. As a non-profit organization, STARS is reliant upon support from provincial governments, corporations and individuals to help save lives every day. Between April 2017 and April 2018, STARS flew 2,999 missions in rural, remote and small urban centers throughout Alberta, Saskatchewan, Manitoba and eastern British Columbia. It also provides support in metropolitan areas when ground transport is obstructed or in situations of disaster. This partnership supports better care and recovery outcomes for patients by helping provide a safety net for the communities we operate and live in — enhancing our emergency response for our employees and the community at large acts as long-term savings to our healthcare system. This proactive approach aligns with Canadian Natural’s frontline-driven safety culture where everyone contributes to making the workplace safer. It also aligns with our approach of working closely with communities near our operations to help build strong communities and lasting relationships. Former Canadian Natural Sr. Vice-President Thermal, Terry Jocksch; Canadian Natural Sr. Vice-President Exploration, Ken Stagg; STARS President and CEO, Andrea Robertson; Canadian Natural Executive Vice-Chairman, Steve Laut; Canadian Natural Executive Vice President, Chief Operating Officer - Oil Sands, Scott Stauth.